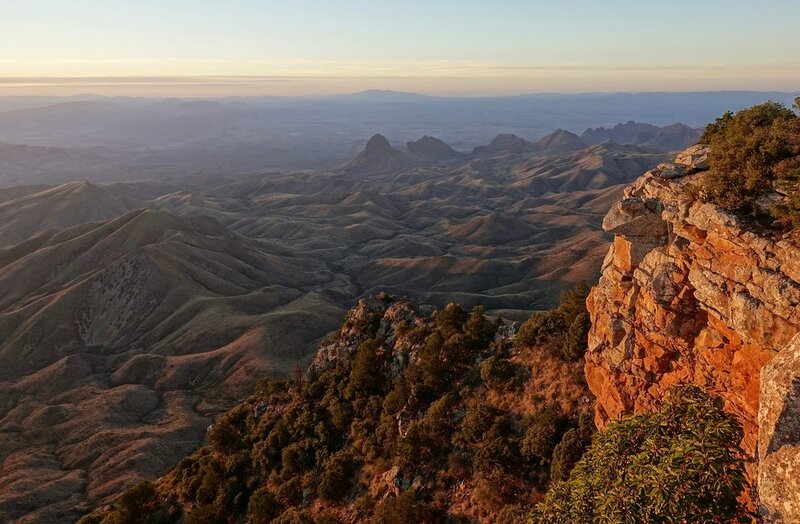 The only hike in Big Bend National Park with designated campsites is the South Rim Trail (14 miles, 2000ft return). The remaining sections in the park are divided into backcountry zones. 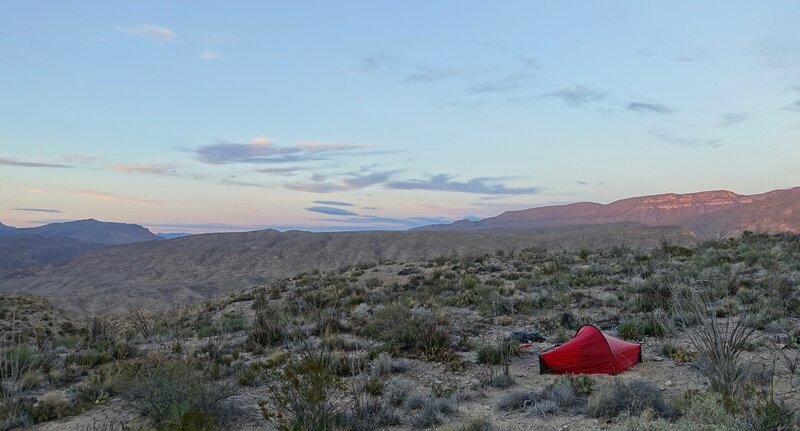 I would recommend getting a high campsite for a night or two along the rim itself, the Boot Canyon and Laguna Meadows trails are mostly in the trees. There are no advanced reservations, but the rangers let me plan out the week upon arrival to the park. 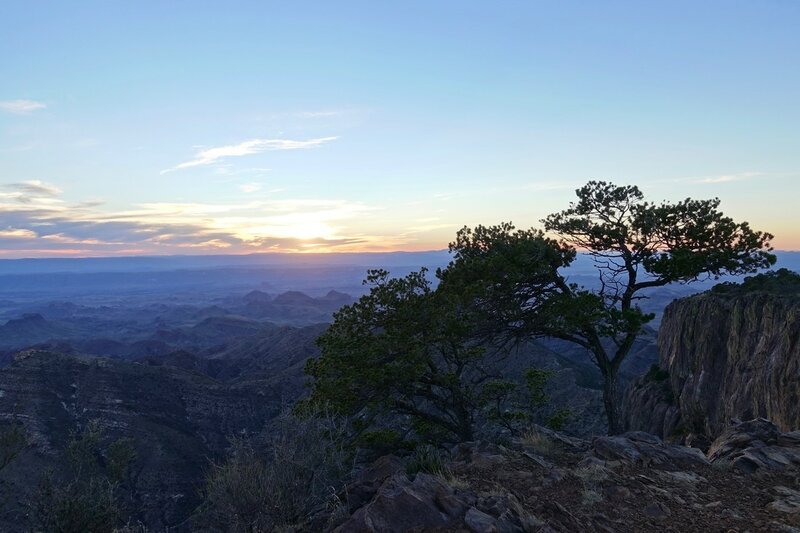 Also keep in mind that falcon season runs from February to May where several trails close including the South Rim. 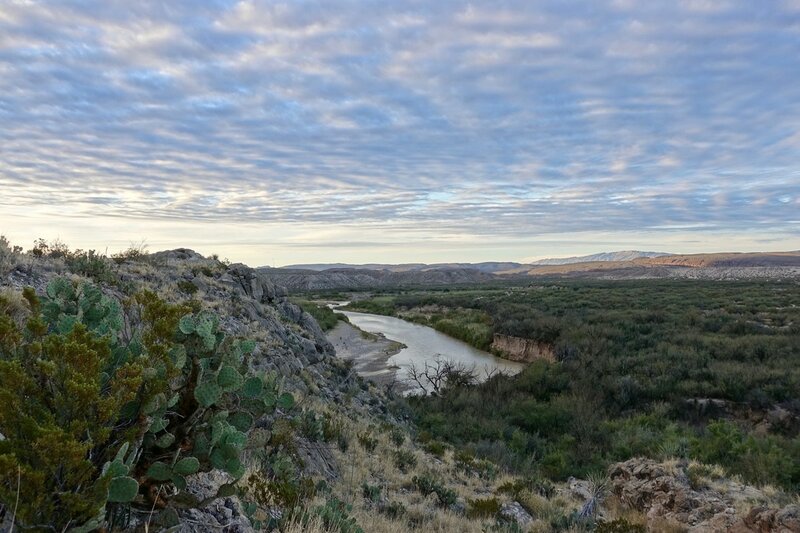 Texas is hot in the summer, so late fall to January is likely the best time to visit.